This resource contains the traditional Brown, Driver, Briggs definitions of Hebrew words, arranged by Strong's numbers. All of the original Hebrew and Aramaic words are arranged by the numbering system from Strong’s Exhaustive Concordance of the Bible. In some cases more than one form of the word — such as the masculine and feminine forms of a noun — may be listed. Each entry is a Hebrew word, unless it is designated as Aramaic. Immediately after each word is given its equivalent in English letters, according to a system of transliteration. Next follows the Brown-Driver-Briggs’ Definitions given in English. 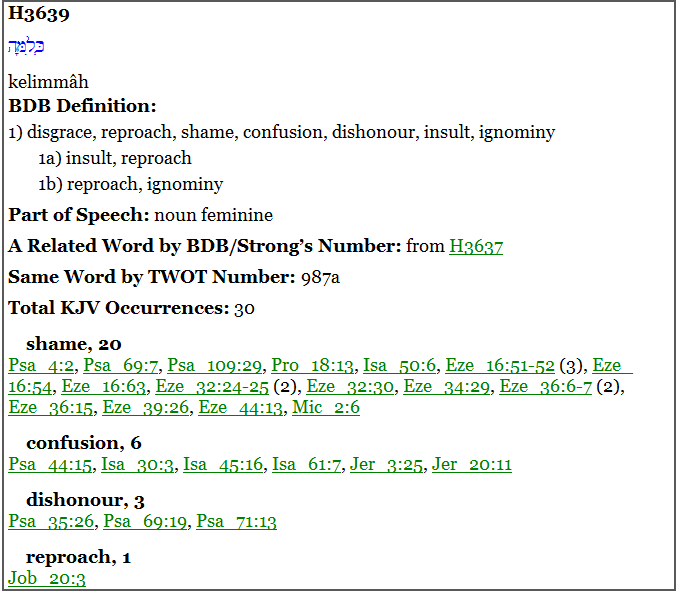 Then ensues a reference to the same word as found in Theological Wordbook of the Old Testament (TWOT), by R. Laird Harris, Gleason L. Archer, Jr., and Bruce K. Waltke. This section makes an association between the unique number used by TWOT with the Strong’s number. I have the book, and it's excelent, thank for the module. God bless you.